October is the month of Halloween, and also the starting month for the holidays. November is the month of Thanksgiving, followed by the winter holidays in December. 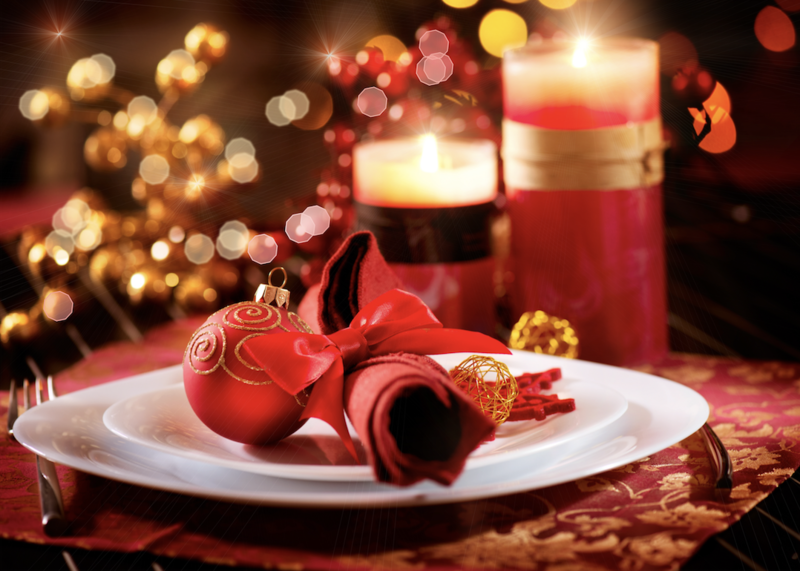 Therefore, it is time to start thinking on how you can spice up your restaurant in order to prepare for the holidays. Decorate your business with festive lighting and decorations. Supply your restaurant with colorful napkins and learn new napkin folding techniques. Offer special holiday dishes and specials. Also, certain types of promotions may draw in a larger number of customers who are excited for holiday savings. Equip your employees with different garments, such as uniforms in different colors based on the holidays. Your employees can also wear fun accessories. Chefs and waiters can wear costume hats in October, and Santa or elf hats during December. Customization is possible with any type of uniform! Hanging bells on the entrance door and having custom welcome floor mats will invite guests into your restaurant. If you are feeling especially daring, you can hang a mistletoe over random tables in the dining area. Decorating the entrance with fake snow or ice sculptures is a fun way to bring winter fun into the business! Create a playlist of holiday songs to play in the restaurant during business hours to entertain customers. Contact Gold Coast Linen Services for a quote on our high-quality linen for your restaurant today! We provide a variety of tablecloths, towels, uniforms, napkins, and floor mats for your restaurant. Our selection offers a variety of colors and sizes, perfect for the holidays. Give us a call today at (561) 832-3841 in the West Palm Beach region, or at (954) 785-7202 for Fort Lauderdale service. We will make sure to assist you in the best way possible. You won’t regret signing up with us.